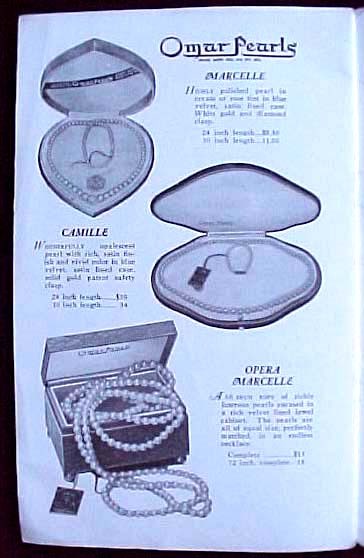 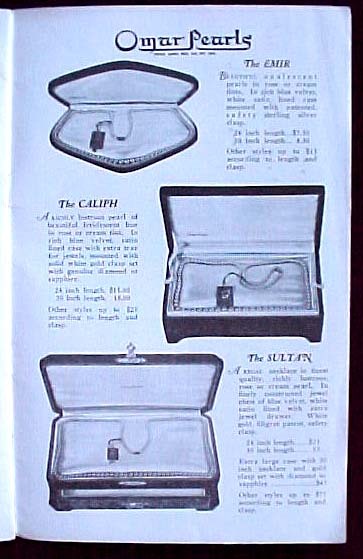 An interesting old booklet, circa very early 20th century. 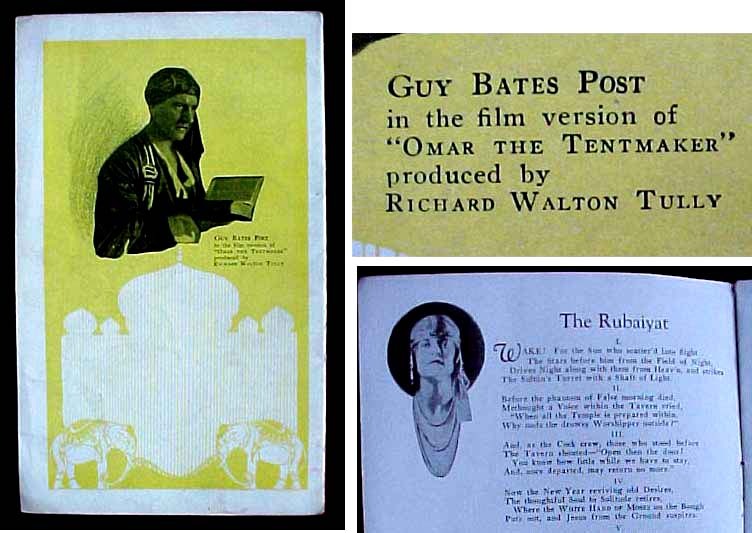 The poem "Rubaiyat of Omar Khayyam of Naishapur", illustrated with scenes from the film "Omar the Tent Maker" (~1922), produced by Richard Walton Tully and directed by James Youngand starring Guy Bates as "Omar Khayyam", Virginia Brown Faire as "Shirine", and Nigel De Brulier as "Nizam ul Mulk". 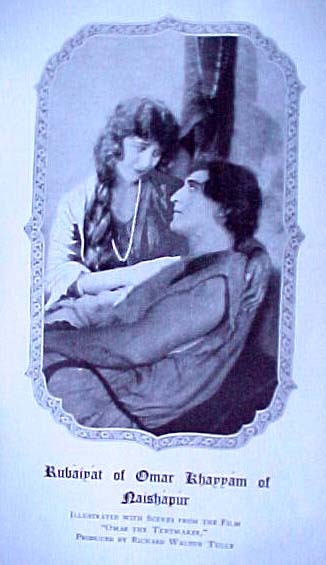 (See here). 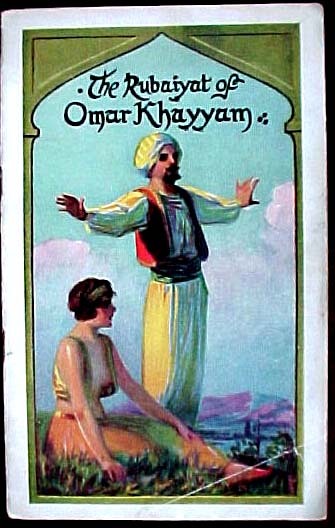 The book starts with a cover illustration in the style of Maxfeld Parrish, has a movie scene, then several pages of the poem and film illustrations, ends with advertisements for "Omar Pearls" [(1) (2)].